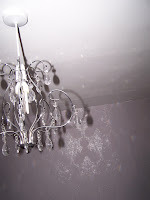 Two small boys, a husband and a renovation project: A bit of Glam! I think my bedroom is just about there. I still need a carpet - the blue plastic isn't part of the glam-look! Otherwise I've been working on calming, boudoir-like properties. Our little bit of escape from the kids and the rest of our crazy house. 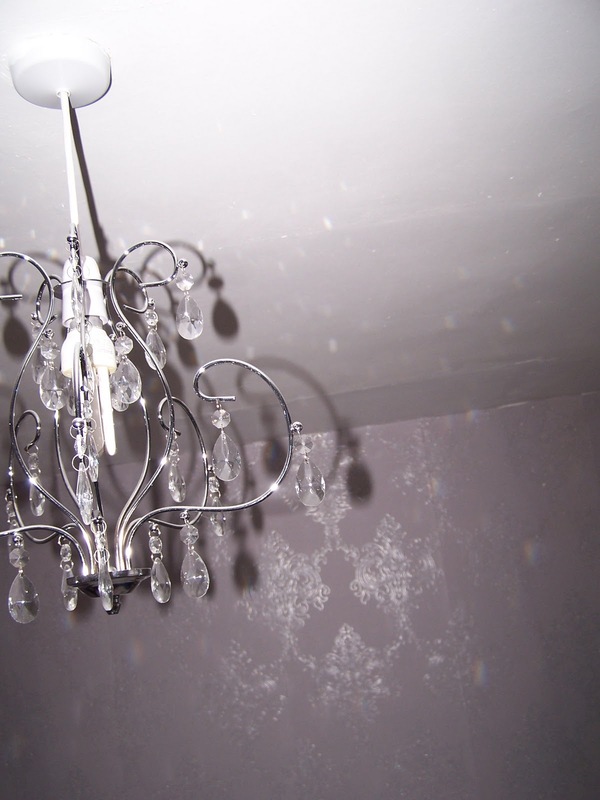 I went for silver wallpaper with a glitter motif, a simple chandelier style light fitting and some sheer metallic voile for the window. Project Manager doesn't understand why the curtains are so long but it's part of the sumptious feel, once there's no risk of them picking up dust. This weekend, I've revamped our mirror from the old house. 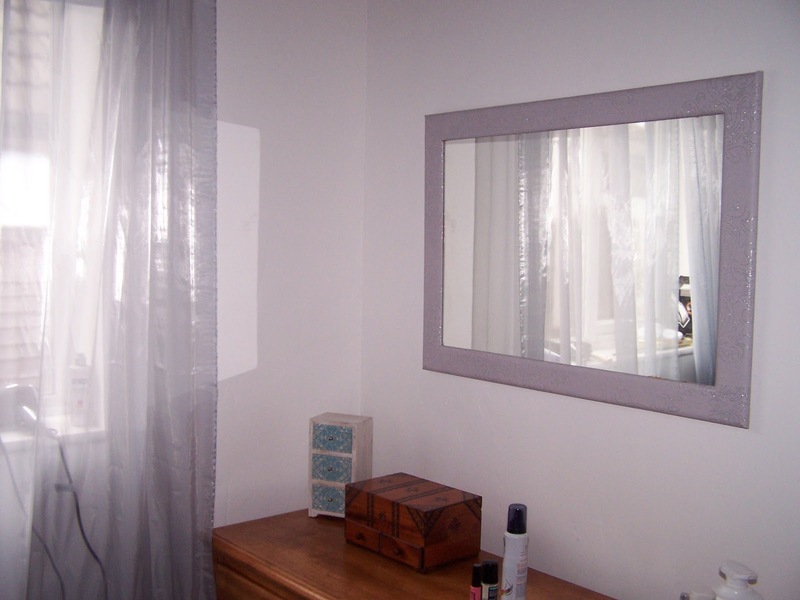 It started out as a plain wooden frame so with a bit of PVA and wallpaper left-overs I have transformed it to match the room.